I can say with no uncertainty that 2012 has been the worst year of my life. Through the loss of a decade long relationship, my skateboard got me through the pain. Its not the first time skateboarding has been there for me, it will not be the last, but this year it has been my most significant life raft. I’m ending this year with a broken deck at my favorite park in Logan Square. I know its a sh*t hole and all the local kids (that don’t skate) treat it as their personal toilet. This is what we’ve got Chicago! When it rains or snows, Logan’s got you covered! Close to the train, bus, and some excellent Vegan friendly establishments! Chicago and Me might be parting ways. I love this city and have spent most everyday of my adult life skating it’s streets. All things come to an end, often when you least expect. 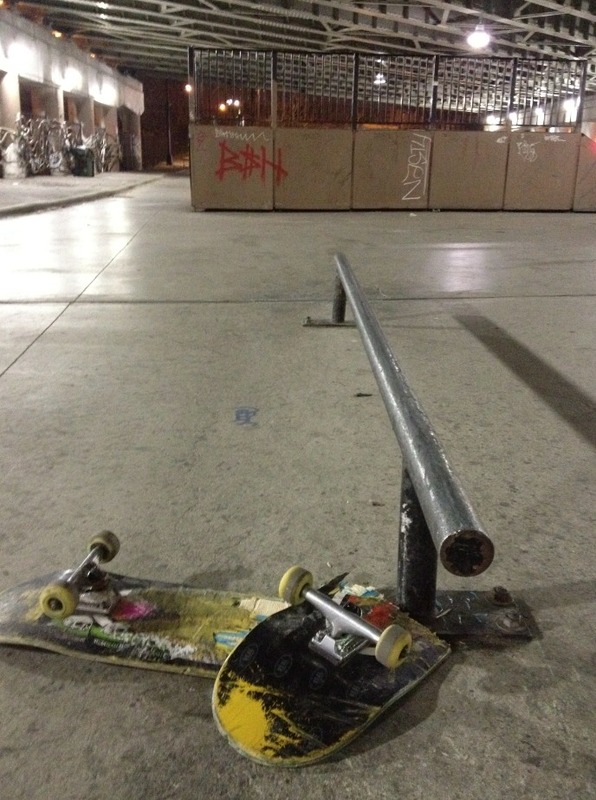 Anyone who has skated for long knows this. Epic spots, a hard slam that felt like a make, friends who “used to skate” and grew up. Life isn’t going to wait, so get out every day you can and ride your board. Here is to new spots, new people, and to the best year to come, 2013. SKATE EVERY DAY!!! 8 Responses to Good Riddance 2012!!! Where are you moving? Be as broad or as specific as you like. possibly Portland or Oakland, slimmer still NYC. Nothing is set in stone but the west coast may be the new home of VSB. When i needed a big change in my life i moved to Portland and it was the best thing i ever did. while i don’t love logan square, i do respect and appreciate that it is there. it was freezing cold and raining when we skated there but I still had fun. it is time to literally “move on;” as i am west coast bound as well. goodbye to 2012, and hello to new opportunities and experiences. and with that said, i’m going skating! I’ll see you after you move to Portland/Oakland/NYC and finally end up in LA like everybody does. And I don’t mean to sound insulting. It is my hometown and I love it here, and I live near some skateparks. If you move to Oakland, you can make the hour journey down to Sacramento and skate with me, my family will make you amazing vegan food and I will take you to a rad house show if one is going on. Those places you mentioned sound great. Good luck with the decision and everything. Come and visit us when the weather is better here. if ya go to pdx, i’ll see ya there.